August 2010 – CREATE. PLAY. TRANSFORM. August 2010. Eight months through a full year. 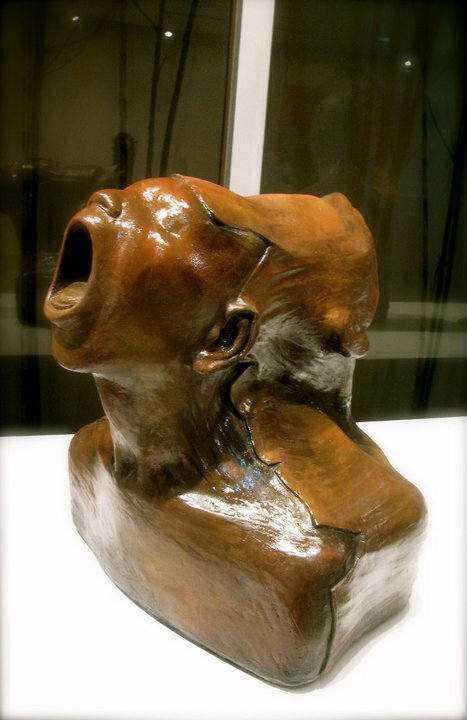 I have seen more than three clay exhibitions on functional pottery and sculpture. Attending them one by one is my entertainment. I see to it that I come on time, and usually feel uneasy, when I know I will be late. Familiar faces are seen each time, and meeting new people is always interesting. My friends – Ambel and Eileen, are clay enthusiasts like me. 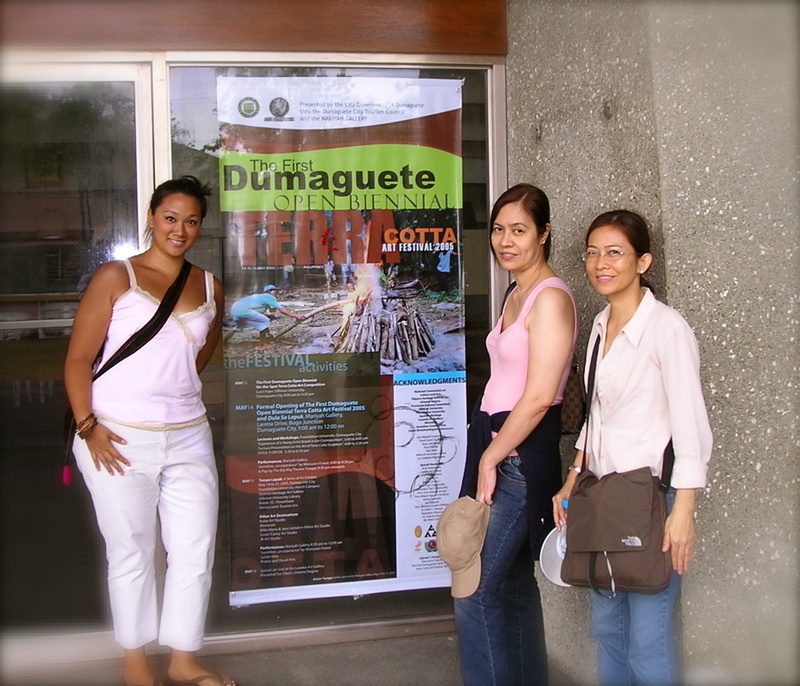 One summer day in 2005, we read on the newspaper about this first ever terra cotta festival in Dumaguete. We didn’t think twice, and bought ourselves air tickets. Thanks to Cebu Pacific for having a promo. We are the type of women with hearts that would skip a hundred times faster, for anything that involves clay art. It was around summer time, so we packed our bags with very comfortable and light weight clothes. We left Manila without expectations, only excitement. Our plane landed very early, and inhaled all the fresh, Dumaguete, morning air. The town still looked asleep, as there were not a lot of people on the streets yet. We checked in our hotel, and freshen up for the day’s activity at The Siliman University, where the festival will be held. As soon as we reach the venue, all we saw was a huge poster on the glass, and a few people waiting for everyone else to come. Three Manila girls got there too early. That’s how excited we were. The locals were wondering who we were, because we didn’t look familiar. We giggle our way through the crowd of Visayan-dialects-speaking-men and women. We watched the people as they set up the tables for the artists. 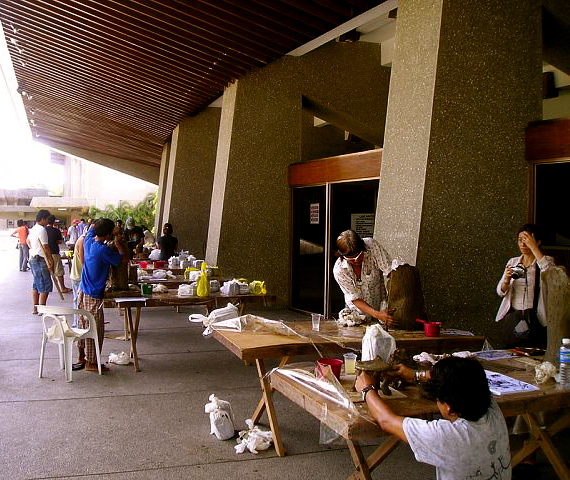 The festival started off with a terra cotta sculpture competition. As I walk and observe, the work of the hands of the artists per table, I smile at how they work so fast and with so much passion. They were mostly quiet while forming their masterpieces, but I felt their fire for sculpting, as they move around their work. One foot step at a time, one stroke at a time, with eyes paying close attention to details. My friends and I mingle with other guests and locals, as we wait for the announcement of winners. Our last night in the town was more fun, because we witnessed performance art by the locals at Mariyah Gallery, which is owned by the Taniguchis. The lawn area of the lot was converted into a gathering place for different artists, who wants to dance, sing, drink, and have a good night to end the festival. We met a lot of people during the festival. It felt like it was a full trip of clay art, friendships, good food, and laughter. We didn’t leave Dumaguete without going to the beach. I came in with a tan, and went back home darker. Thank God that I came home to my mom, who appreciates me when I am recognizable or not. Haha! I wanted to extend my stay and explore the nearby towns, but I didn’t want my pottery students to wait too long for me. It felt like a dream that happened so fast, and the next thing I know, we’re back in Manila. It is during these types of trips that I enjoy my life and God’s creations around me. But since I am born, raised, and still living in Quezon City, I have learned to appreciate what I see around me, which are also creations of God with a tinge of pollution, and a fast paced life that can get stuck in traffic. Last night, I attended an exhibition of terra cotta works by friends we met in Dumaguete five years ago, and a new friend who lives and works with clay in Bacolod. It was different this time, because their works are on wooden pedestals that are painted in white. The ceiling of the gallery is lined with spotlights, highlighting the pieces that were hand crafted with Visayan hands and hearts. A bar towards the end of the gallery with goblets , waiting to be filled with white and red wine. My friends: Mark, Joe, and Israel, play a big role in the terra cotta scene in their hometown. A lot of new artists emerge with their assistance, skill, faith, encouragement, and confidence. I walk around the gallery, and observe each movement of the viewers and the artists. I smile as I am reminded of a scripture from the bible. “Yet, O LORD, you are our Father. We are the clay, you are the potter; we are all the work of your hand.” (Isaiah 64:8). People from Bacolod, Dumaguete, Manila, Austrailia, America, France, India, and other nations were present in the gallery last night. And it’s a comforting feeling in my heart, to know that the Creator himself, know each and everyone of us. Each one is hand crafted with his/her own uniqueness, style, gesture, and freedom. And sometimes we are in darkness and enjoy our time there. And times when we are highlighted with God’s plans for our lives, leading us to our function and purpose here on earth. In whatever path we choose, in darkness or in light, God sees us. And he doesn’t wait impatiently, but with love. A love that transforms with so much passion and excitement, a love that creates with gentleness and not harshness, a love that has a heart that beats fast with excitement, not only with the good things that we do, but in times when we need his skillful hands to lift us up, or times when we have totally turned away from him. He’s not only present in us and around us, when the light is too bright, and the surroundings are all white. But he’s with us in every heartbeat, in every footstep, in every falling and in every rising. I am going to witness another pottery exhibition tomorrow evening. Not just another pottery show, because it’s going to be someone’s first one man show. And I’m not sure if I am going to be happy, because I will be a little late. But being late doesn’t matter anymore. The value of an artist’s work is not changed, by how its viewers come and go. What I am excited to see are the results of what came out a roaring Anagama kiln. I love hand-formed pots, but the stories of the potters of my country, intrigue me more than transforming clay now. 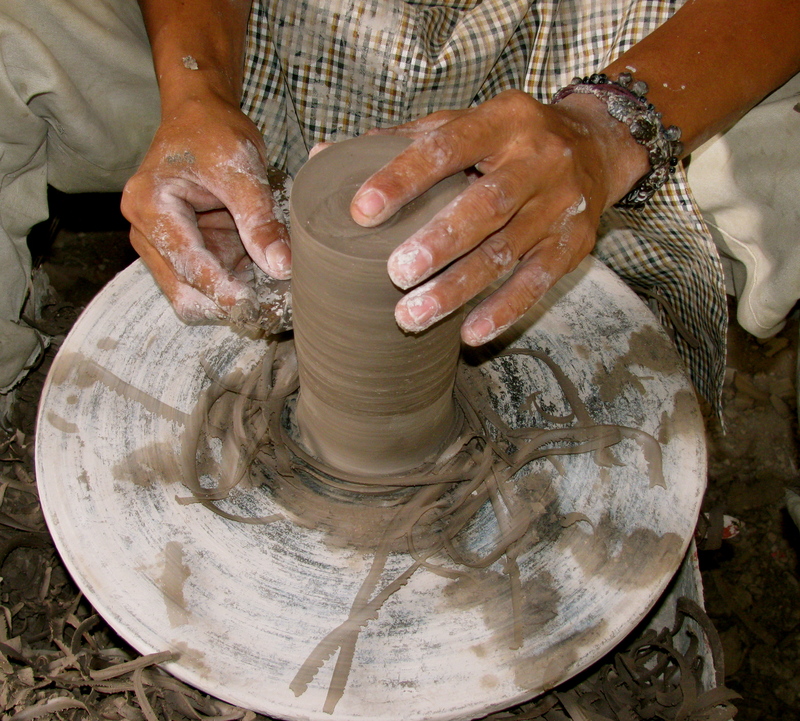 As I go to sleep tonight, I will think about, the potter to visit for my next Philippine pottery studio tour. Not to see pots this time, but to hear the clay in them speak, how they went through fire, as they learn from mistakes in forming clay and firing kilns, and know the fire in them that makes them live life with flames of passion, love, integrity, faith and joy. Tomorrow is going to be a long day, working with the potter’s wheel. The clay in me needs to rest now.